People need to stop citing this as some sort of objectivist manifesto and enjoy it for what it is. An extraordinarily well written narrative with some great ideas, philosophies and theories. It's beautifully written fiction...that's all. Scott Brick is a great narrator. Say what you will about Ayn Rand. She wrote one helluva book. Ayn Rand accurately predicted what a sad state the USA would be 50 years into the future. It is not too late to stop the forces that want to take away our freedom, but it is very close. Must read Atlas Shrugged to understand what the Left is doing to this country and stop the total Government control of our economy and freedom. A Classic Comes Alive !! 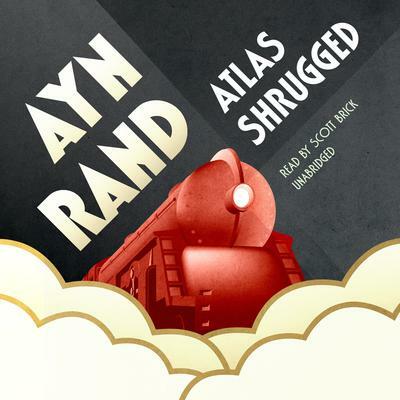 I have heard so much about Atlas Shrugged through the years yet somehow never read the book. I saw the moive part one ( part two hasn't come out yet ) and said to myself I have got to read this book. I was so pleased when I found this Audio Book in a download that I could listen to at my pace on my iphone. The narrator made this already larger than life story come alive, the story is so in tune with the mordern day world it's hard to imagine it was written so many years ago. The ease of using this app was a big bonus for me as I tend to get lost in al the new ways to enjoy books, however this download took just few mintues and worked great. I am looking forward to hearing many more great titles form this site. Atlas Shrugged worth the time , give it a go you'll be glad you did !